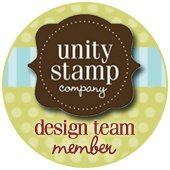 By now, you’ve probably realised that I’m no longer a Stampin’ Up! Demonstrator. I resigned last week, primarily because I’m finding myself using a wider variety of products and I was getting very frustrated at not being able to link to these companies on my blog. 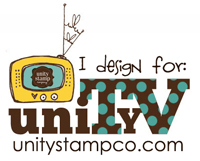 Craft-A-Lot is a fabulous online store based in Brisbane, Australia, and they have some of THE best prices I’ve seen in Australia for stamps and accessories, not to mention free postage at the moment! Stock is constantly being added – I’m a frequent stalker visitor. Colleen, the owner, is super friendly, so make sure you drop her an email if you can’t find what you’re after. You never know your luck! Well… now I can tell you where to get it. :-) Right here - Simply Gorjuss - Little Red. And make sure you check out the other stamps in the Gorjuss range while you’re there. They’re adorable. You can also follow Craft-A-Lot on facebook! Gorgeous card, Danielle! Love the coloring. Congrats on your DT position. Glad you introduced this store. Will check it out. Congratulations sweetie, As soon as you told me that you were resigning as a su demo I knew it wouldn't be long before you were snapped up for DT work ; ) You know already that your cards are stunning and amazing thats why your one of my Sweeties! Double WOOT!!! Way to go sweetie!! Well done and a beautiful card. Oh dear, sorry to hear that you have left SU. But congrats on your DT Position very well deserved. I will still be popping by regularly as I do love your work. I have just put 2 and 2 together, it has taken me awhile due to illness, when I asked awhile ago where you got your seam binding but you couldn't really say. There is far too much wonderful stuff out there, rivalling SU, for them to be so strick in how things are done. But that's just my view. Make the most of your new ventures. Very sweet card, love the design style. Congrats on the DT positions. You are very creative and I'm enjoying the inspiration!